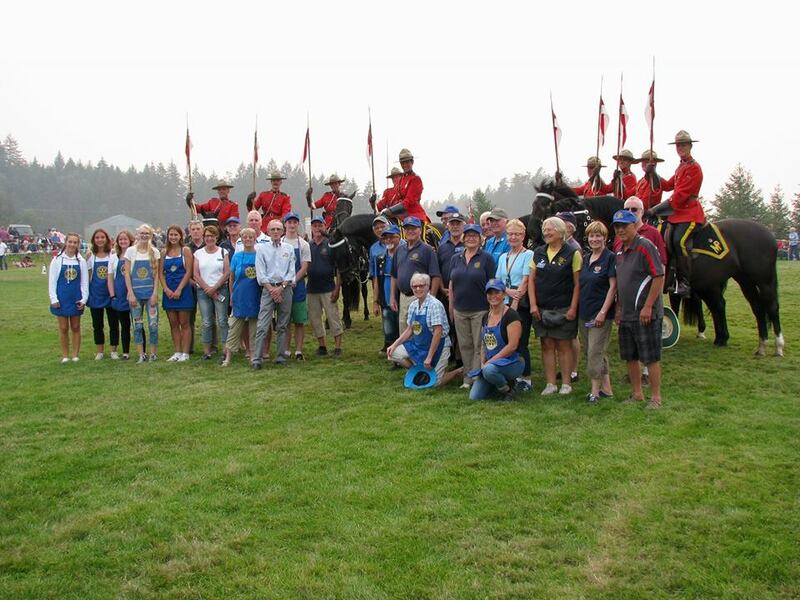 The 2018 RCMP Musical Ride in Parksville was a huge success, and there were many individuals, groups and organizations that worked together to make it so. 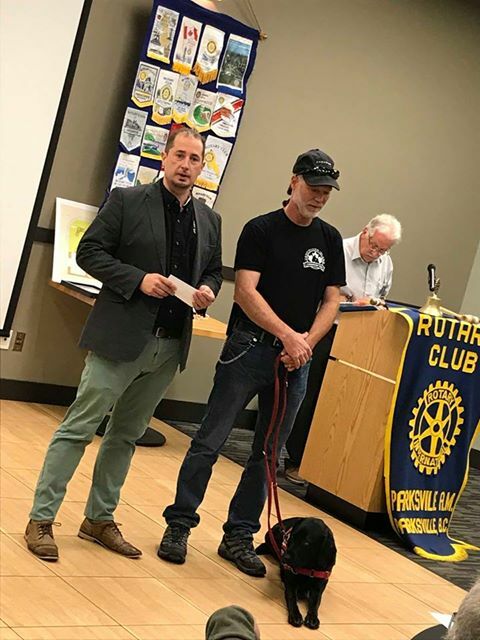 At the Parksville AM Rotary meeting on September 26, two of these organizations were recognized. 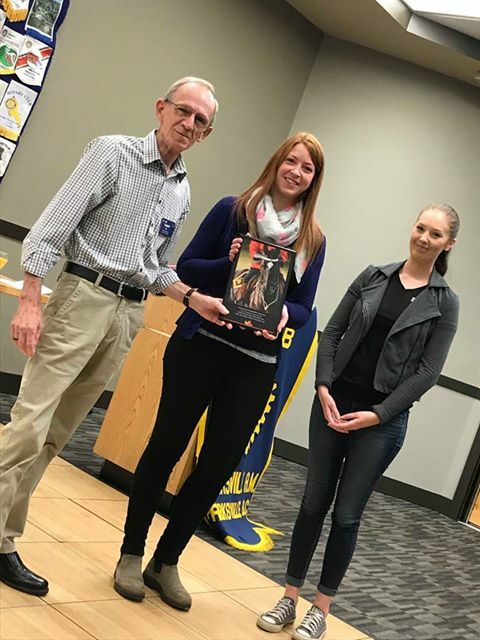 Above, Musical Ride Coordinator, Garry Cox presents a plaque to Meghan Morrison and Lindsay Shepherd from Buckerfields in recognition of all the feed donated for the horses. With 34 hungry horses, that's a lot of feed! Thank you Buckerfields. Parking for the Musical Ride was handled by the Vancouver Island Compassion Dogs. Shown above are Mike Annan and Jeff Foss, along with Jeff's special companion. President Bill noted that parking was so well handled that there wasn't even one complaint - and when you're dealing with parking, that's saying something! For the complete list of all supporters, please click here.